Which Refrigeration Unit Meets Your Needs? Depending on the kind of store that you own and operate, your refrigeration needs vary. Finding the right commercial refrigeration unit to meet your needs will depend upon what kind of products you are selling and storing in your cooler or freezer. Excellence Industries offers a wide selection of different commercial refrigeration units, coolers and freezers that we would be the perfect fit for your store. 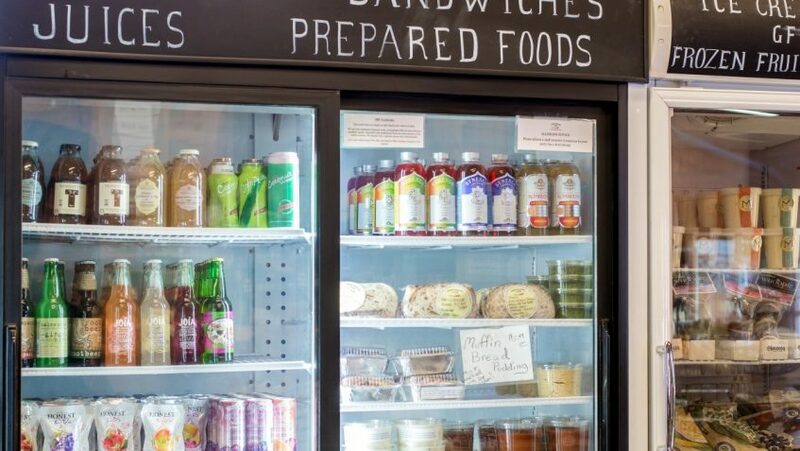 As the industry standard for commercial refrigeration, we will help explain the most common types of commercial refrigerators and how each one might benefit you. One of the most popular commercial refrigeration units is a reach-in refrigerator. They are one of the most commonly used commercial refrigerator on the market today. The variety of units come in all different sizes and with many optional accessories to cater the fridge to you and your stores special, varying needs. This type of unit is typically used for storage and is most likely kept in the back. Our reach in storage units are also available in models with glass doors. Units like this are great to keep products both fresh and accessible by staff. Dual temperature units are another type of the commercial refrigeration units that we offer. They are similar to the reach in refrigeration units we previously mentioned. Their chief difference is that they offer two different temperature zones. A benefit of this is that a unit can operate within multiple temperature zones. These units can often times double as a refrigeration unit or freezer unit depending on your needs at the time. Dual temperature units are great for those who operate seasonally or change their product offerings throughout the year. Countertop refrigeration units are popular type of commercial refrigeration unit. These units allow visible storage in small places to store products in an area that is convenient to you. Due to their small but visible size these types of units are great for smaller, impulse purchases you want displayed in your store. Display cases are a well-known type of commercial refrigeration unit and are used for products that require constant attractive refrigeration. Cases like this are great for front of the restaurant or open display and manifest in a few different ways, including: sushi display cases, vertical/horizontal display fridges, bakery displays, deli display cases and many more. If you are looking for one of the specific types of commercial refrigerators found above, Excellence Industries is the absolute best contender in the commercial refrigeration industry. We can help you define your store’s needs and deliver them in a cost-effective, efficient manner.